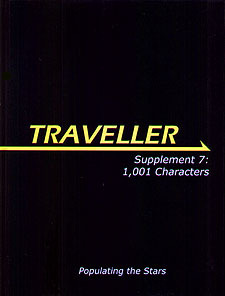 A referee's treasure trove, 1,001 Characters provides a quick and easy reference to over a thousand non-player characters, ready for play! Divided into easy-to-use sections, a referee will quickly be able to find the appropriate alien soldier, starport administrator or corrupt politician easily. Each character comes with name, equipment, skills and background, giving them life and personality right from the page.